There are so many different variations of cannabis extracts that it is becoming difficult for the average consumer to fully understand the intricacies of each type. For new users or those curious to dabble in the concentrates market, it can be rather intimidating not knowing how each product is made, or what the ultimate effects can produce. 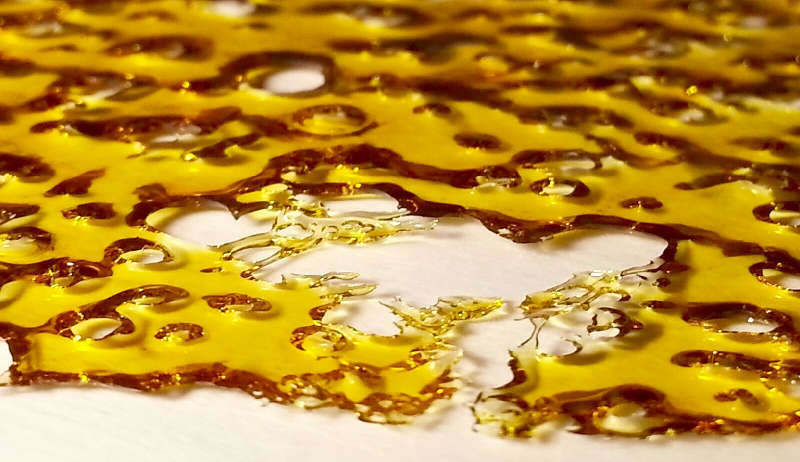 Shatter is probably the most well-known cannabis concentrate (outside of oil) and has built quite a niche market in the cannabis community. Named for the brittle properties of the extract and its ability to break, or “shatter” quite easily. Colors can range quite drastically depending on the extraction process (mostly via BHO or PHO) and varying strains used to produce the wax, however, it is usually an orange/yellow mix and can be crystal clear or somewhat cloudy, again, depending on extraction method. Shatter has become popular amongst cannabis connoisseurs because of its potency. With THC ranging from 70% – 90%, it is essentially the purest form of cannabis that users can consume. Make sure to always store your shatter on parchment paper in less than room temperature atmospheres to avoid a sticky mess. 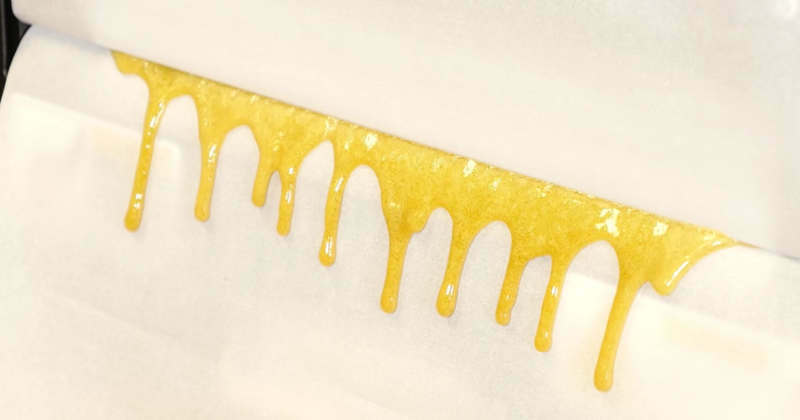 Rosin has become a fairly popular “do-it-yourself” extraction that is fairly easy and ensures to the consumer there is no added solvents or additives. Heat and pressure are used to the dry cannabis plant which brings out those terpene profiles and cannabinoids without the use of chemicals. It is known as the cleanest form of cannabis concentrates. It’s hard to produce on a mass production level, however, so this form of concentrate could remain a niche cult classic. 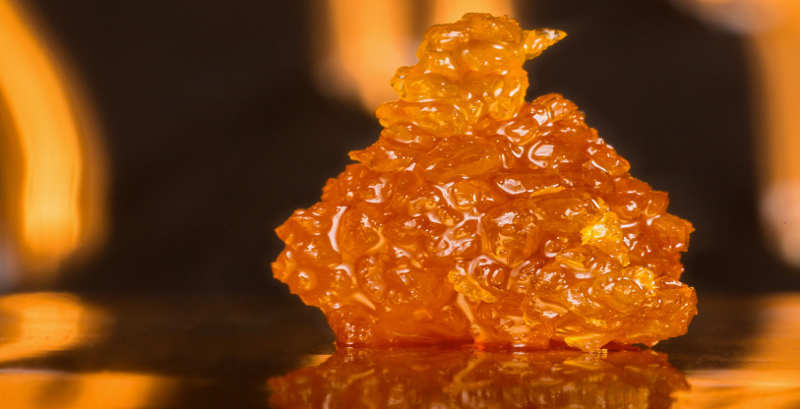 Crumble is one of the newest forms of cannabis concentrates on the market. Extracted with butane hash oil (BTO), crumble is sometimes just as potent as shatter with THC levels ranging between 60% – 90%. Crumble, as opposed to shatter is never clear, and resembles clumps of sugar, which is why some people often refer to it as “sugar wax”. Crumble is by far the driest form of cannabis extract and is fairly easy to handle. It can be stored just about anywhere, except at high temperature. 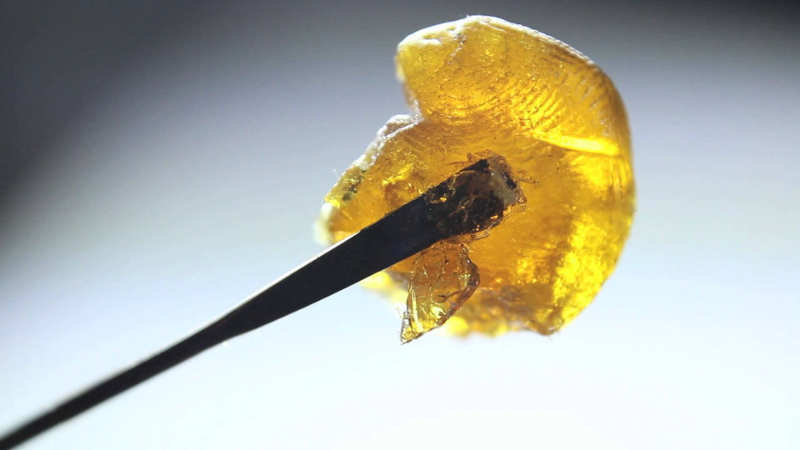 Some experienced users will add in crumble to their joints to add an extra punch, but most consume crumble via dab rigs or a concentrates vaporizer. 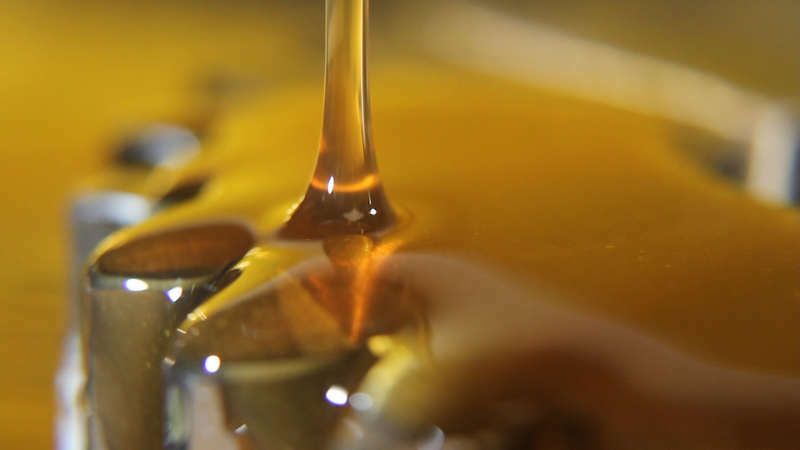 The most popular cannabis concentrate is oil, as users have been extracting and consuming this form for decades. There are a few different extraction methods including via butane and propane, but the most popular (and actually the most expensive) is by CO2, because it produces an extremely clean end product, as opposed to those other methods which have been known to produce traces of toxins and carcinogens once processed. Fear not, however, because, with extremely stiff regulations and testing facilities now in place, most reputable sellers will have 100% clean cannabis oil that is rich with terpenes and cannabinoid profiles. There is so much potential with oil, and the flavor profiles for end users will only continue to get better with time. The most popular way to consume cannabis oil is through a vaporizer which can be found at pretty much all retail outlets. Wax is a polarizing concentrate in the cannabis world. It’s fairly easy to picture, as it’s not hard enough to be considered a solid (like shatter), and not liquid enough to be oil. It also has a high potency with a range of THC between 60% – 90%, it is usually consumed through a dab rig or a vape. The problem with wax is that it can be difficult to work with as it is extremely sticky, and is well known by users to make quite a mess and get all over everything if you are not careful. Pro tip: utilize a dab tool to avoid that sticky mess. A fairly new extraction technique, yet extremely effective, is flash freezing the cannabis bud directly after cultivation. This will preserve the terpene profiles and THC content. The result is a much more robust and intense flavor compared to other extraction methods. The consistency is an odd mix that resembles a wet wax, so you must store your Live Resin at room temperature or below to avoid a mess. Terp sauce is a budding contender (pun intended) for rookie of the year in the concentrate sector. This ultra potent extract is not for beginners as it boasts a high THC count. Not only that, but mixed with the “Entourage Effect” with more than just standard THC being extracted, makes traditional Terp Sauce a fan favorite amongst experienced users. 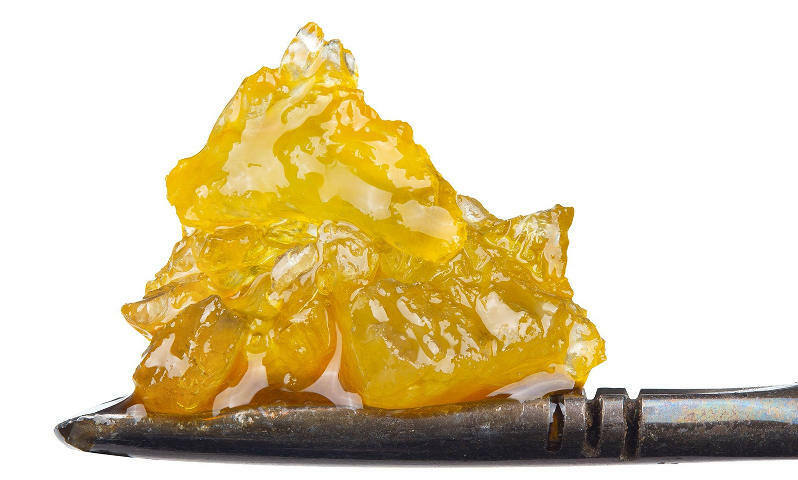 A similar extraction process to Live Resin, Terp Sauce has terpene profiles reintroduced and elevated. It is created to elevate flavor profiles unlike any extract currently in the market. Experienced users get a 1-2 punch of potency and a flavor that is out of the world. 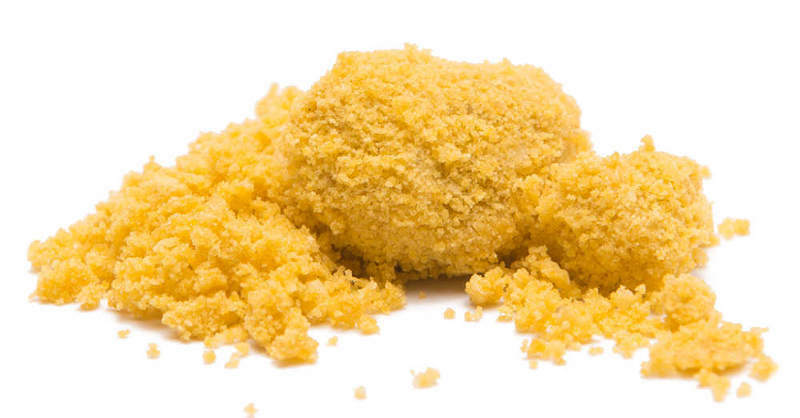 Budder resembles a mix between wax and crumble. Its name comes from the fact that its consistency is similar to butter. Another concentrate with very high THC potency, upwards of 90%, budder can be very sticky to the touch or if left at high temperatures. It is best to store in parchment paper or a silicon container to avoid any unnecessary mess. 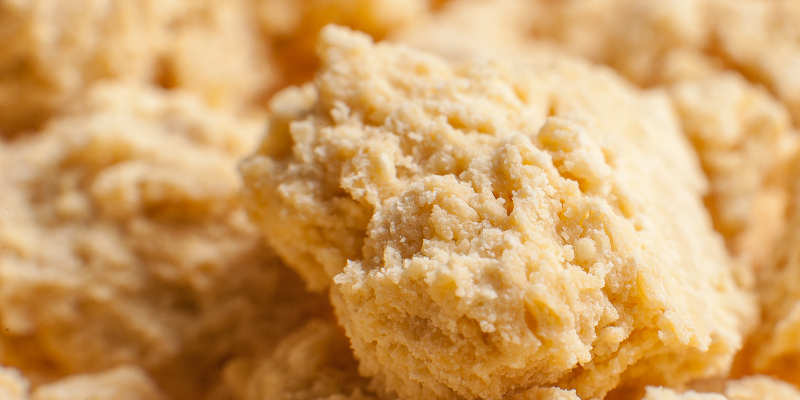 The only issue with Budder is that it is fairly expensive to produce, as part of the production process requires vigorous “whipping” or mixing, which attributes to its creamy consistency. The exciting prospect in the cannabis industry is that new and improved extraction methods are being developed every day. The industry shining into the mainstream will allow producers to perfect cannabis concentrates for both beginners and connoisseurs. Did we miss any of your favorite cannabis concentrates? Let us know and we will add it in. I don’t know if sauce would be considered a different type or if it would be considered rosin. Great point! We will add a “sauce” piece. It has quickly become a fan favorite for concentrate lovers.